Meredith Meyer was raised on a diversified farm in Gardner, North Dakota. She graduated from the University of North Dakota as a visual arts major in 1966. 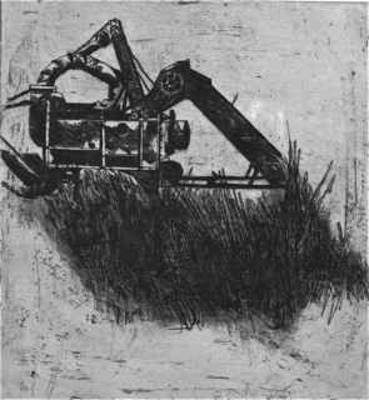 Her etching, Corn Picker,was produced while she was a student. Still active as an artist, Meyer currently lives in Fargo. In 2010, she was selected as one of nine North Dakota artists to produce detailed renderings that identify noxious weeds for poster sponsored by the North Dakota Department of Agriculture.